San Diego Comic Con was relatively quiet in regards to the upcoming Star Wars: Episode VII, however, what wasn't revealed regarding the future films was made up for in regards to the latest animation endeavor by Lucasfilm, Star Wars: Rebels. Taking place five years before Star Wars Episode IV: A New Hope, the story focuses on a band of rebel fighters, including an underground post-Order 66 Jedi, and their struggles against the Galactic Empire. Those who were lucky enough to attend San Diego Comic Con were treated to a screening of the first hour-long episode, set to premiere later this October. However, for the rest of us, Disney and Lucasfilm released a 7-minute long sneak peak at the upcoming series. Check it out. In this special extended preview of Star Wars Rebels, the Empire arrives on Lothal -- bringing tyranny with them. Imperials and stormtroopers establish an intimidating presence on the planet, enforcing strict new laws for trade and arresting citizens for expressing dissent of any kind. 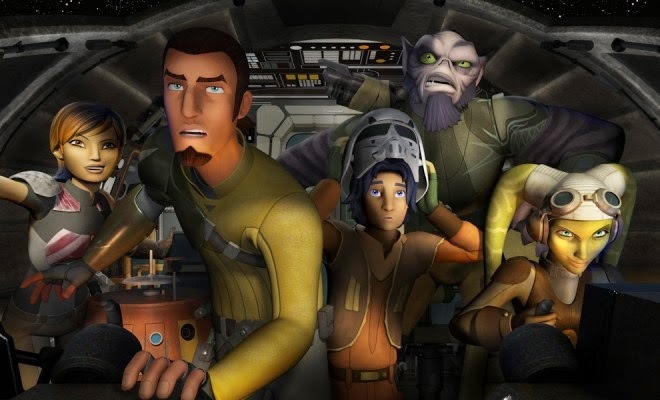 A young boy named Ezra, however, discovers that a mysterious group is attempting to steal cargo from the Empire. Intrigued, he tries to take it for himself – and ends up on the run from both Imperials and this small band of rebels. What makes this sneak peak so great is that above anything else, it feels like Star Wars. From the sounds, to the inexplicable British imperials, to the mere cinematography, it is clear that people who truly understand what "makes" Star Wars are behind this show, and the fact that about half of the production team consists of Star Wars: The Clone Wars alumni certainly helps. And unlike Star Wars: The Clone Wars, which admittedly took some time to find its footing, this series appears to hit the ground running. 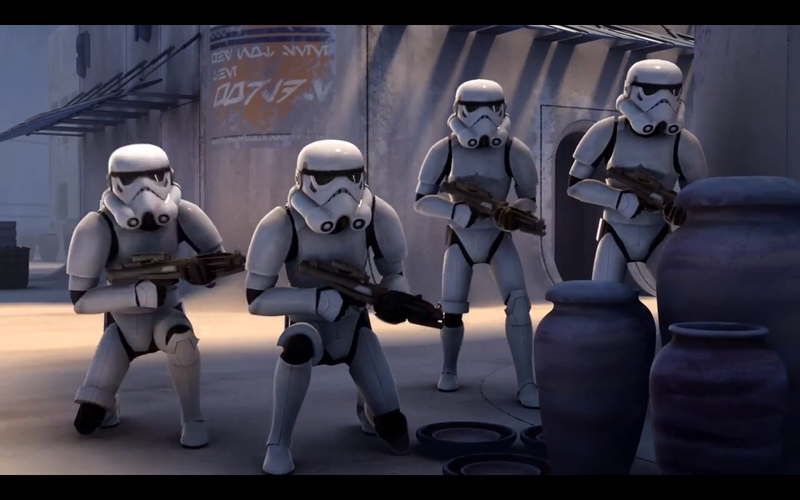 A little side note, when the stormtroopers are thrown around by Zeb (the purple alien) at the end of the 3-minute mark, the sound effect used is that of Dee Bradley Baker voicing the clone troopers from Star Wars: The Clone Wars, and given the fact that the clone troopers eventually become stormtroopers, this could be a major acknowledgement in showing the transition from cloned soldiers to imperial recruits. Or this could be merely a stock sound effect and mean nothing of any significance. However, given that Dave Filoni, previous executive director for The Clone Wars, is now executive producer for Rebels, it's very likely that this would go by unnoticed or be a mere coincidence. Check out the full trailer for Star Wars: Rebels below. Star Wars Rebels will premiere with an hour long special on Disney Channel this October, and follow up with a full series on Disney XD.